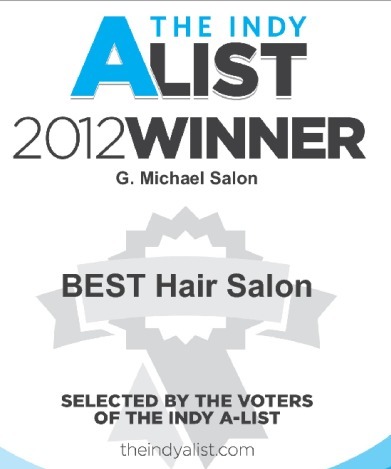 G Michael Salon in Noblesville is proud to present our certificate for BEST Hair Salon in Indianapolis Indiana on the City Voter A-List. We are so proud and VERY appreciative of everyone taking the time to vote us BEST Hair Salon in Indy! We couldn’t have done it without all of the GREAT support that we received! THANK YOU A MILLION TIMES!! !